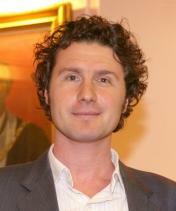 Prominent sceptic and science writer Ben Goldacre will visit Australia in September for a debut speaking tour. Author of bestsellers Bad Science and Bad Pharma, Dr Goldacre will speak in Sydney, Melbourne and Brisbane. Suzi Jamil and Desh Amila of Think Inc said he had always been on their list of people to bring to Australia. Dr Goodacre has an Australian connection – he is nephew of ABC Radio “Science Show” presenter Robin Williams. Central to the event is a 40-minute “fireside chat” between Dr Goldacre and Dr Brad McKay, the host of “Embarrassing Bodies Down Under”. Ms Jamil said Dr McKay would ask, “some really challenging questions and go into some areas that were quite controversial and some areas that were quite taboo to discuss on stage”. The audience will have the chance to ask Dr Goldacre questions as part of a 30 minute public Q&A session before the event closes for general ticket holders. Ms Jamil and Mr Amila said pseudoscientific ideas were getting more mainstream media exposure in Australia, making Dr Goldacre’s message important and relevant. Dr Goldacre will speak at the Brisbane Convention & Exhibition Centre in Brisbane on September 22, The Plenary, Melbourne Convention & Exhibition Centre in Melbourne on September 23 and Enmore Theatre in Sydney on September 25.